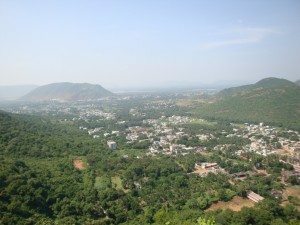 Visakhapatnam Trip - Part 1 - Ghumakkar - Inspiring travel experiences. Last year I’d gone to Visakhapatnam in Diwali vacation for four days. But only one post will not do justice to my experience so it is going to be three posts series. As Visakhapatnam or Vizag is only 12 hours from my hometown by train, we decided to go there on a short trip. Train was at an unholy time of 6.00 am! And day journey in sleeper class (AC had no seats left for reservation) was bad due to heat. But the scenery was beautiful. We reached in late evening and went to the hotel where we had booked room. We had been told on phone that they will provide an extra bed. We were given an extra mattress without cot! But as it was late, we decide to stay on there only. Service was average but food was bad. Dad and I went to the nearby APTDC office and booked ourselves for tour of Araku Valley and Borra Caves on 28th. We also hired a car for local sightseeing on 27th. The breakfast was better as it consisted of idli and dosa. After breakfast, we left for local tour. The roads and the cleanliness of the city impressed us. Our driver was polite, pleasant and experienced but understood only English. First we went to Ramakrishna Beach. Unlike Puri, the beach was quite clean. I felt so elated seeing the Bay of Bengal and beach, even in the scorching sun. 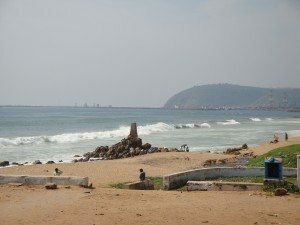 On the horizon we could see ships and the Dolphin’s Nose which is the most prominent landmark of Vizag. This huge rock, 174 m in height and 358 m above sea level, is shaped like a dolphin’s snout;hence the name. 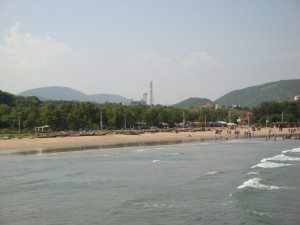 The area around RK Beach is highly developed from tourism point of view. 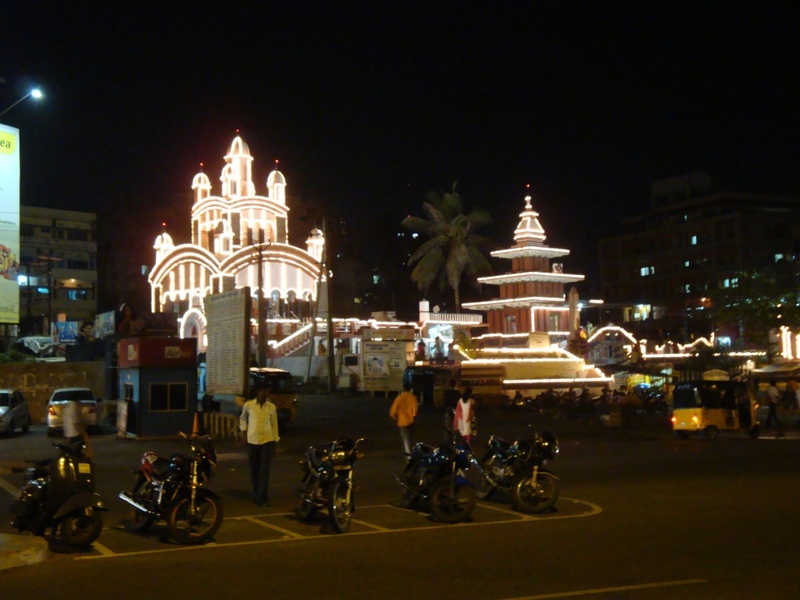 The statues and unique pillars really beautify the road along RK Beach. Then we went to Simachalam to visit the famous temple of Lord Varaha Lakshminarasimha. The deity is such an angry personality that he is always covered with sandalwood paste. The actual form of the idol is viewed only once in a year, during the Chandana Yatra. The view from the top of the hill temple was awesome. Camera was not allowed inside. From there we came back to Rushikonda Beach. It was less developed or rather less commercialized than RK Beach but still equally beautiful. Our driver knowing that we were Bengalis, took us to Hotel Sandhya which was a shack serving very tasty, homely and typical Bengali lunch at low price. I was so happy to have a good lunch. Then we went to Fishing Harbour for boating. The smell of diesel fumes of the boat caused more nausea than the turbulence of ocean waves. But the view was wonderful. 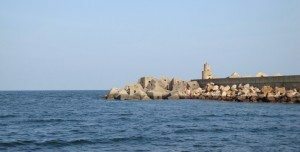 Artificial embankments have been built to stop waves from crashing on to the harbour and nearby coast. After a tiring day, we returned to hotel. In the evening, we went to RK Beach in auto-rickshaw. Auto rickshaws are quite cheap in Vizag. One just needs to bargain a little. The area around RK Beach has a Ramakrishna Mission Ashram and a KaliMatha Temple along with other attractions. Before the trip, I had searched the location of Pizza Hut in Vizag on Google. :D In the morning I had asked the driver to show the place too. So after shopping, we went to Pizza Hut. And that ended the day blissfully. An Indian. A Gemini. A Blogger. A Photographer. A Traveler. I am Vizag ,but work n chennai ,your post has made feel happy. I am from Vizag ,but work n chennai ,your post has made me feel happy. 3 Posts is a good idea :). More pics please. Your parents are blessed to have not seen any Mall, probably by our next generation we would never be able to not-see-a-mall. I am not a Mall-hater but I am more happy in markets which has so much action. anyway. 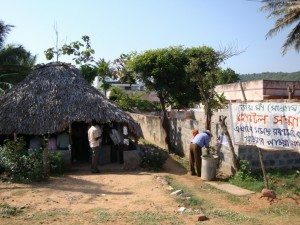 This is the first (and so far the only) story on Vizag at Ghumakkar. Never been there but heard good about the place. One of the few name changes (From Vishakap… to vizag) which look cooler and better. Thanks for sharing. I went to Visakhapatnam on 18th of may(friday),by an volvo bus from hyderabad.It was an APSRTC a/c bus it charge me 945 per person it was depart at 9 in the evening,which was the last bus from hyderabad to visakhapatnam.The last non a/c bus is at 8 in the evening and they charge something around 500. We reach visakhapatnam at 11 in the morning,the bus was 2 hours late it only take 12 hrs.Then we went to jagdamba juntion area called in visakhapatnam.you may find good hotel over there the range start from 1000-2500 and if you want to reasonable then go to railway station you will find in 400-1000…..
Then we went to R.K.Beach auto took 30 rupees……you have to bargain alot .then we walk to submarine museum it took 5min.It opens at 2 in the afternoon entrance charges are 40 per person. 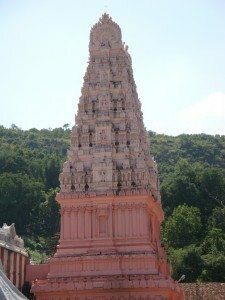 From there we went to Kailasa Giri the auto took 20 rupees.the entrance is 5 rupees from there you can take rope way it charge 65.You can even walk or drive by your car but its too high.you may get tired.when you reach upstairs you will find a park with shiv parvati big statue. Then we went to rushikonda its an beach but the water is not too clean but its very cruddy the auto took 80 rupees.in the between of kailasa giri to rushikonda you may zoo park,vuda park but we didtnt went there.even you can find sharing auto in viraz(visakhapatnam).